This is the people section of the PM Studio™ System. When it comes to projects and project management, in most cases one starts to look for methods, frameworks and processes such as Prince2® and PMI®. Having the technical part implemented and tailored to your needs, is indeed crucial. But what about the human part ? Projects are defined and delivered by humans. Processes, templates and software are supporting tools and instruments. Communication is vital for project success, but it won’t work without the right mindset, capabilities and attitude. The failure of many projects boils down to the fact that too often, leaders pay such strict adherence to financial, structural, and strategic issues, that they overlook the human side. PM Studio™ has teamed up with B&W Partners to provide a tailored profile assessment solution focussed on project, programme and portfolio managers and based on the Lumina Spark model. Selecting and hiring a project manager is quite often based on their “technical” project management knowledge, extended with their certifications and job experience. This information however reveals little about the person behind the title and the certificate. But how can you be sure that your Project Manager will fit in your environment, your organisation, your team and your project ? How can you be sure that this is the real fit for purpose ? Project management is more than managing scope, time and budget. It is also about collaborating and communicating with stakeholders, dealing with issues and conflicting situations, making decisions and leading the project team through difficult times. So, we are looking for a leader who knows about project management and who is able to apply it wisely. This means that we are now more interested in the leadership skills and the behaviour in different situations. This assessment helps you uncover common leadership and/or communication problems that you might be experiencing. 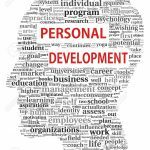 Once you’ve completed the assessment, we direct you towards personal development tools that will help you to improve and develop the skills to fill the gaps. Teamwork has a dramatic effect on organisational performance. 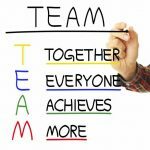 An effective team can help an organisation achieve incredible results. A team that is not working can cause unnecessary disruption, failed delivery and strategic failure. Nowadays it is almost impossible to avoid being a member of team. So it’s not only important for your personal and career development to know your teamworking strengths and weaknesses, but it is also important to know how you can work effectively with “others” having another profile. How can similarities and differences be combined in an smart way? This assessment helps you uncover common teamworking problems that you might be experiencing. Once you’ve completed the assessment, we direct you towards team tools that will help you to improve and develop these important skills. Hoe een team vormen ? 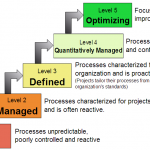 Organisational maturity is often visualised by the five-layer maturity scale which is roughly based on the Business Process Maturity Model (BPMM) standardised by the Object Management Group (OMG). This “maturity” can have many faces or cover different topics, such as Processes (OMG BPMM), Project Management (PMI PMM), software development (CMMI), and so on. Individuals and teams play a very crucial role in organisational maturity. This assessment helps you uncover organisational maturity bottlenecks and opportunities. Once you’ve completed the assessment, we direct you towards tools and programs that will help you to take the next steps. PM Studio™ Grow & Perform combines 30+ years of knowhow and experience in the project management world, with first class profile assessment and coaching services.